Trade with confidence and rely on the stability and security of STP order execution, you will benefit from no dealer intervention, no restrictions and trade with a broker that doesn't trade against you. Kridex operates the no dealing desk execution model known as STP (Straight Through Processing). STP is highly beneficial for all traders, as there are no conflicts of interest, no human or dealer intervention to allow traders to benefit from trading the markets with institutional level conditions and highly reliable order execution quality. Trades never experience delays or manipulations. Kridex does not impose any restrictions on profitability and allows all trading strategies including day trading, scalping, hedging and arbitrage on all accounts available. Anonymous trading to all liquidity providers protects all strategies and the liquidity will receive a simple buy or sell order from Kridex, no client details, trading history, stop loss or take profit levels are submitted to keep your strategy fully anonymous. 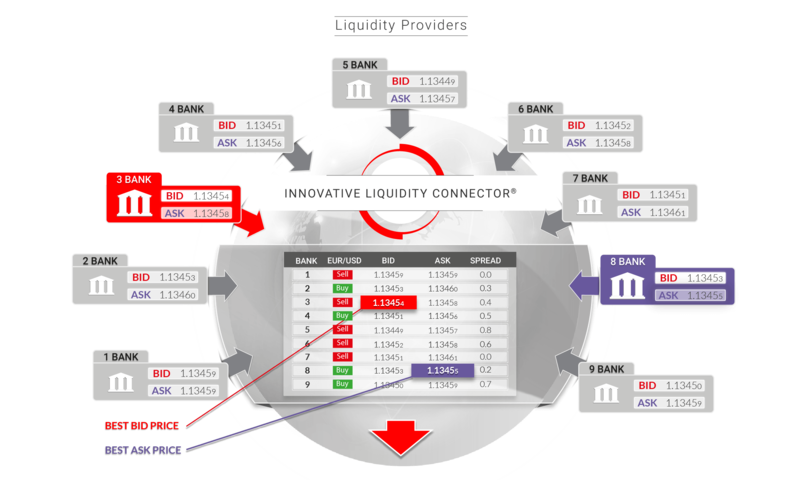 By using multiple banks and ECNs for liquidity ensures that all clients receive a greater number of price ticks, which leads to better spreads during volatile markets and statistically higher accuracy of order filling. Trades are executed on the best bid and best ask price available from the entire liquidity pool and guarantees that clients always receive the fairest and lowest price. Trades are executed immediately, without delay or restrictions as soon as the order is received to the trade server, due to the highest level of technology used within the MT4 server and bridge, means that the majority of orders are executed to the markets in under 10 milliseconds, with 99.4% of trades executed faster than 15 milliseconds. Having a deep pool of liquidity is key to providing accurate, unrestricted and fast execution of your orders as there are increased options for order filling, the depth to fill high volumes per ticket without rejections and as there is no dealing desk, Kridex can accept high frequency strategies like arbitrage. Kridex uses advanced technology to automatically aggregate all bid and ask prices in the trading system and feeds the best prices available to trade from within the liquidity pool to clients trading platforms. This technology means that our clients always benefit from the best possible bid and ask prices and trades are executed without delays, re-quotes or restriction. The final execution venue also influences the speed of execution. Kridex works hard to include the best performing liquidity providers in terms of spreads, execution speeds and filling accuracy. As an ongoing process, we swap unsatisfactory liquidity for new providers with better statistics to ensure the optimal execution at all times.